In recent years, Italy had been through a bit of a drought in its talent pool; afterall, the last title Senior was in 2013 with Alex SALVINI (I - Husqvarna). But during this Acerbis GP of Italy, the Italians were proudly represented by Matteo CAVALLO (Beta Boano) and Andrea VERONA (TM) in Juniors and in Enduro 2 with the trio of Alex SALVINI, Thomas OLDRATI (Honda RedMoto) and Giacomo REDONDI (Honda RedMoto). These three protagonists also managed the feat of all standing on the podium Sunday night - something that had not been done in 25 years! 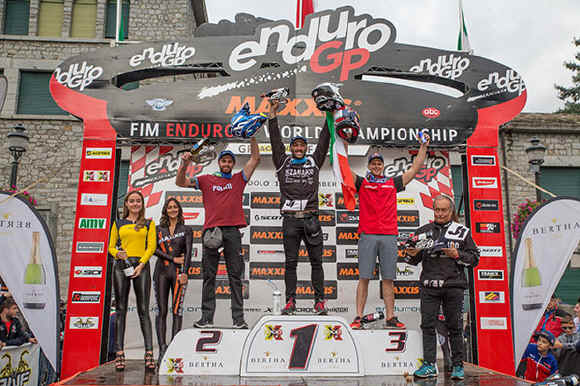 Italian Enduro returns is returning to the fore, and with a new generation of talent led by CAVALLO, VERONA and SORECA, Italy could well become the dominant nation once again, and tackle the likes of Britain's HOLCOMBE (Beta), FREEMAN (Beta Boano) and others. Sherco Shines with Young Talents! With Matthew PHILLIPS (AUS) "out" since the GP of Estonia, all the efforts of the team Sherco CH Racing are now focused in the 'young categories'... This weekend, Jack EDMONDSON (GB) and Théo ESPINASSE (F) shined with podiums in Junior; and J2 for the Brit on Saturday and J1 for the Frenchman on Sunday... But where Sherco shone the most, was in Youth 125cc with the double victory of the New Zealander Hamish MACDONALD and the two podiums of Dan MUNDELL (GB - 3/2). Add to that the 3rd place of the Sherco Academy rider Matthew VAN OEVELEN (B) and we were able to witness an 100% Sherco Sunday podium in Youth 125cc! The brand from Nîmes counted 6 podiums and 2 victories from its promising young riders in Edolo …the future is bright for Sherco! At the Acerbis Grand Prix of Italy in Edolo, we were able to count 16 different nationalities among the 85 riders. Some of them from "exotic" places, with Chile represented by Ruy BARBOSA (Husqvarna), Brazil represented by Bruno CRIVILIN (KTM) and Argentina with Cristian ARRIEGADA (Husqvarna). In addition to these three nations and the usual European countries, South Africa was also represented for the first time since 2010, by Kyle FLANAGAN (Yamaha), as well as New Zealand with Hamish MACDONALD. Finally, a special mention for the return to the forefront for the Czech Republic with the nation taking a podium on Saturday through the driver Junior 2 rider Krystof KOUBLE (KTM)... A performance that gives hope to Czech Enduro which we have not seen for over 10 years with a certain Vita KUKLIK! While Sherco, TM, Gas Gas, Yamaha and Husqvarna, through the private team Jolly Racing, have shone since the beginning of the year, there is one brand that seems to stand out: Beta! Out of 8 classes, Rignano Sull'Arno's firm leads the standings in 5 of them: in EnduroGP and E3 with Steve HOLCOMBE, in E1 with Brad FREEMAN and in Junior and J2 through Matteo CAVALLO. At the same time, Beta ranks first in the EGP, E1 and E3 manufacturers rankings. It looks like a good year for Beta, represented by the Factory team and the Boano team. "Thank you to the Moto Club Sebino for this wonderful race in Edolo! 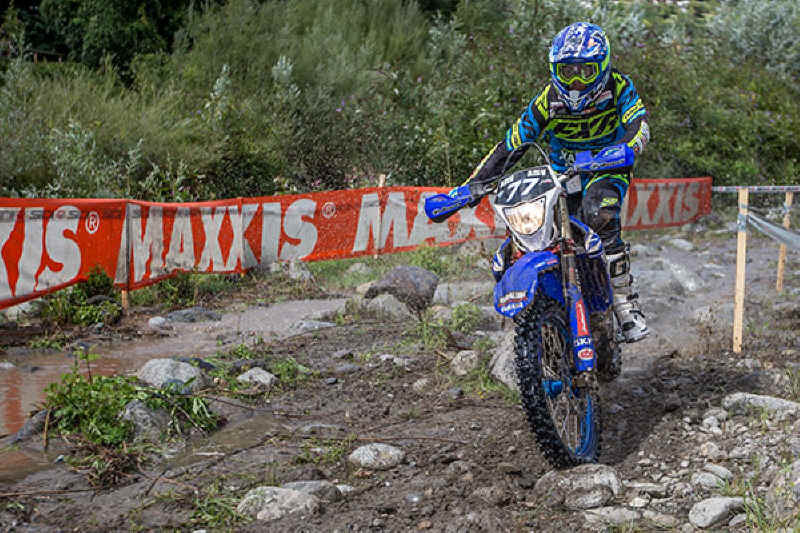 It was a true Enduro, just as we like it!” These words came from current E1 leader Brad FREEMAN and are shared by the majority of the EnduroGP riders. The MC Sebino, headed by Constante BONTEMPI, did a magnificent job with a high level lap with three excellent special tests and difficult liaison sections. 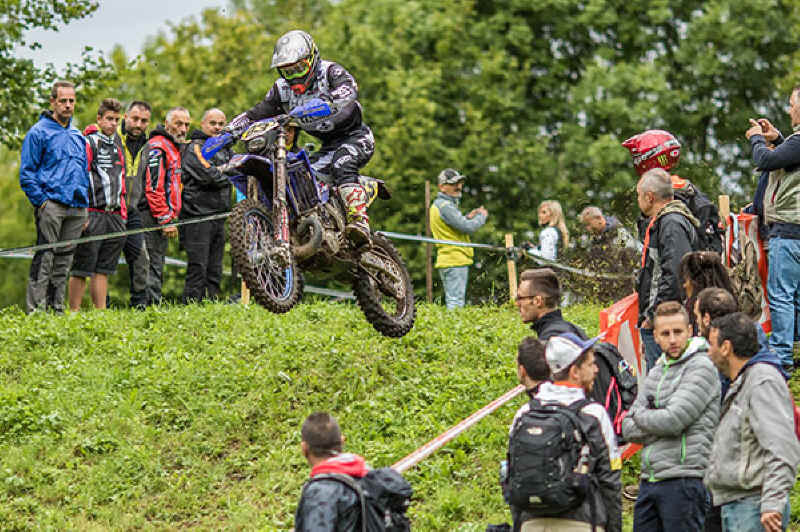 Their organisation was praised by many riders such as Christophe NAMBOTIN (F - Gas Gas) and Romain DUMONTIER (F - Yamaha) with a particular mention for the Enduro Test and the liaison leading to it. 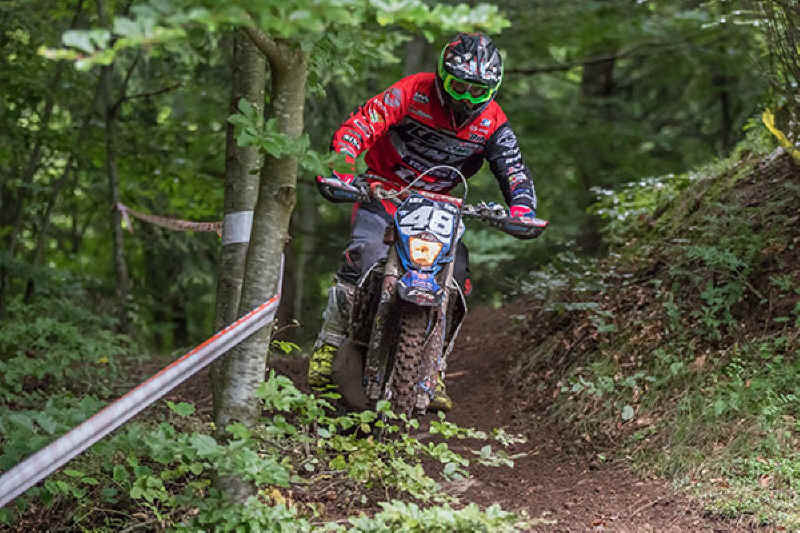 It was a true Enduro, just as we like it, which was rewarded by a large number of spectators; 30,000 throughout the weekend, despite the non-stop rain!